UPDATE: The order form for this event is now available (see below)! If you do not live in the Austin area or you will not be able to make it to this Kendra Scott location at the time of this event, browse online and email the attached order form to hilary@childrenofallnations.com by Monday, August 14th! Click here to fill out the event order form! 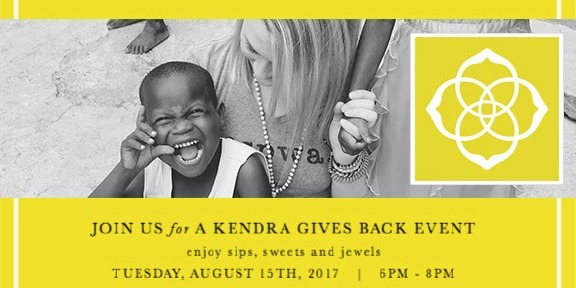 On August 15th our agency will be teaming up with Kendra Scott for a fundraiser to benefit one of our Haiti Orphan Care projects! This orphan care project is very near and dear to our hearts, as the money raised will go towards helping three incredible brothers (The G-Triplets!) in Haiti find their Forever Family. We have been advocating for these three brothers for many years, yet sadly the costs associated with processing three children’s adoptions at one time have caused an unfortunate roadblock for many interested families. Without this obstacle, it’s very likely that they would have already found their family. Throughout our time advocating for the G-Triplets, several members of our staff have had the opportunity to meet them. We have also heard from several families who met them while traveling to Haiti, and everyone says the exact same thing — these boys are INCREDIBLE! The three boys told our reps in Haiti that they’re all best friends who dream of becoming teachers or pastors when they grow up. By working together we can bring them one step closer to having a family of their own so that one day this dream can come true. This is our chance to make a difference in their lives! This event will be taking place on August 15th from 6pm-8pm CST at the Kendra Scott located at 1400 S. Congress Avenue, Suite A-170, Austin, TX 78704. During this time, 20% of all proceeds will go towards helping the G-Triplets come home. If you’re interested in participating, all you have to do is stop in and make a purchase! Live somewhere other than Austin? No problem! Browse online and email the order form below to hilary@childrenofallnations.com by Monday, August 14th and your order will be processed at the time of the event. Children of All Nations (CAN), operated by Great Wall China Adoption, is a 501(c)3 non-profit organization based in Austin, Texas. Since 1996, Children of All Nations has assisted may international countries in placing more than 9,000 children with forever families. Between the headquarters located in Austin, Texas and our sister offices all over the world, we work on behalf of families each day to be experts at exceeding Hague international adoption requirements and adoptive families’ expectations.